Located at Surfside Beach, the Aruba Surfside Marina is a modern small bed and breakfast hotel that is a rather charming beach retreat. It’s a “Green Consciousness” hotel. The tropical garden is a perfect spot for weddings, meetings, and events. In total just 6 accommodations are available and that makes Aruba Surfside Marina an idyllic and intimate low rise stay, guaranteeing privacy and a peaceful, quiet environment. 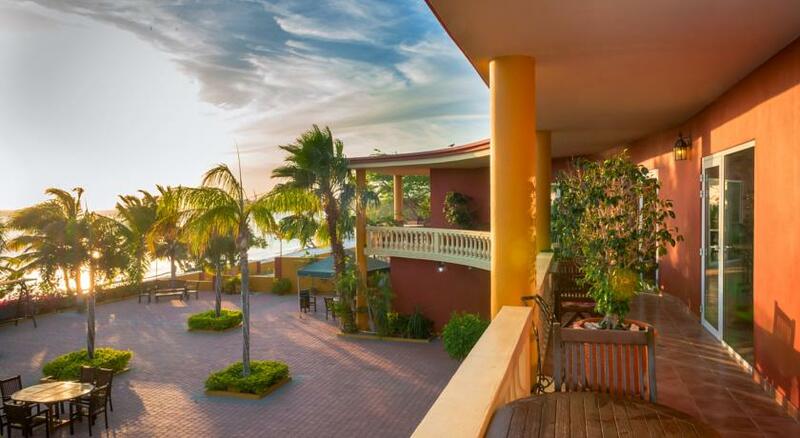 Aruba Surfside Marina is known for its beautiful sunsets and it offers deluxe oceanfront suites that are located on the second floor of the premises. Downtown Oranjestad is very close by where you can find shopping & dining opportunities, as well as musea and entertainment of all kinds. A private harbor and a diving school are located very close by.